The path to NBA success wasn’t necessarily the most conventional for Danny Green. No doubt, it was the road least traveled by. Growing up as a two-sport athlete, Green spent four years playing basketball at the University of North Carolina. Prior to declaring for the 2009, the 6-foot-6 guard helped UNC hoist a NCAA National Championship. But what followed was a very long road to proving that he belongs in the NBA. 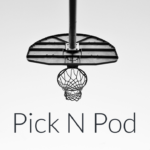 Drafted 46th overall by the Cleveland Cavaliers in the 2009 Draft, he was waived the following season after only playing in 20 games the year prior. He then played for a couple of G League teams and even spent some time overseas playing for KK Union Olimpija in Slovenia during the 2011 NBA lockout. All of his hard work would eventually pay off as he found his way back to the NBA as a member of the San Antonio Spurs. Becoming one of the top three-point shooters in the league, Green also brought a defensive mindset to the Spurs, playing a pivotal role in their 2014 NBA championship run. Now, in his tenth year in the league, he realizes why constantly-adapting players like him survive in the NBA long-term. A journey filled with peaks and valleys, Green understands better than most the sacrifices that it took to get to the point he is at in his career. 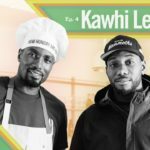 “People think it’s easy, man, but it’s not,” says the 31-year old shooting guard.” Best way I can put it is as much as we enjoy the fruits of our labour, there’s so many sacrifices involved – not spending time with your family, holidays, the games we had to give up when we were younger – we were never playing video games inside all day and going to parties, we were working out, in the gym, practicing. 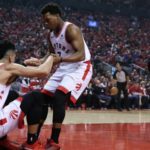 In his first year with the Toronto Raptors, Green’s presence on the roster has very quickly been noticed – not only for his ability to stretch the floor and play defense, but for his leadership both on and off the court. 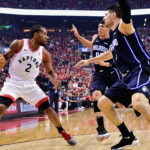 As the Raptors took on the Memphis Grizzlies on Saturday night, it was the shabby veteran Green who helped delivery the win in the absence of Kawhi Leonard. As a former NBA champion with the Spurs, Green brings the championship makeup that any team looking to compete requires. That being said, the sharpshooter sees the similarities between the 2014 Spurs and this year’s Toronto Raptors. 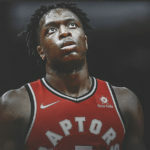 A proven champion on both the collegiate and NBA level, Green is now a leader and the veteran presence on a very talented Toronto Raptors team.